HAPPY FIRST ANNIVERSARY OF THE WEBCOMIC UNDERDOGS’ OFFICAL INTERNET KENNEL! 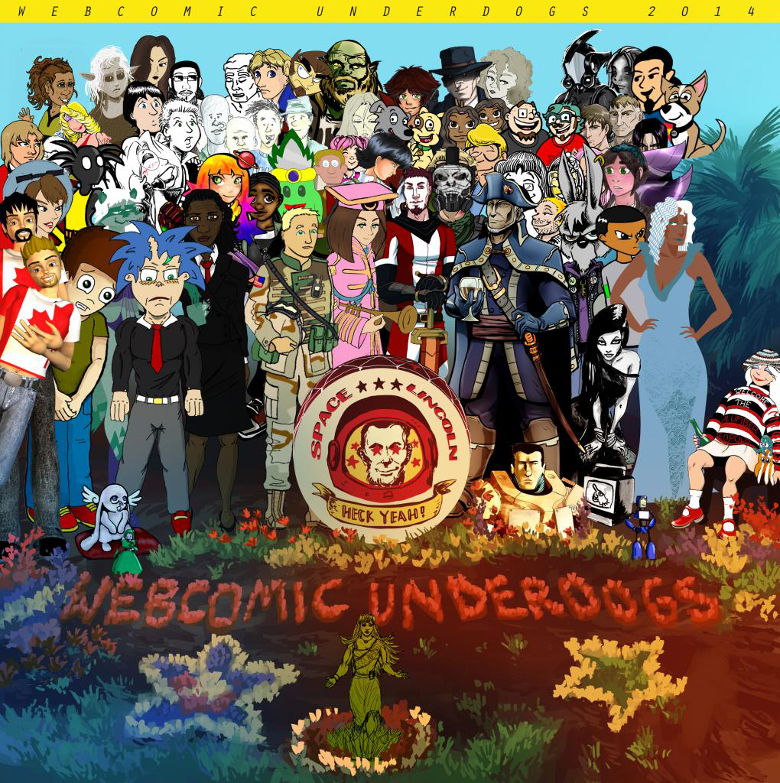 That’s right-it was a year ago today that the Webcomic Underdog website went live. Since then we’ve had a great time playing together in the Great Webcomic Dog Park. So, to celebrate, we thought we’d do our version of a famous album cover. Huge thanks go to melaredblu, from Princess Chroma, and Aero Zero, creator of the fantastic comic Kyria for all their hard work in putting this together and making the background. Can you spot some of your favorite Underdog characters? Oh, and speaking of The Most Greatest Thing Ever, the finale of the Groovy, Kinda Musical is happening over at October 20th. You really owe it to yourself to read it. But beware, it can make your eyes water. This was awesome. So happy to be in the company of such fine people!